Thinking about the upcoming year and all you want to achieve can sometimes feel overwhelming – so much to do and so little time. Here is a simple tip that may help you achieve an abundant and prosperous business-building year. There is a video to watch and an article to read – enjoy! Are you selling yourself cheap? Did you know you can double your sales volume by doubling your price? Discover the truth about common pricing practices and how to get the most cash in your pocket the next time you launch one of your products or services. Are you struggling to be recognized in your industry? Do you wish you could quickly build your business reputation? Find out how you can gain credibility and influence in your industry in record time. Do you feel lost when writing ad copy? Are you spending money on advertisements and making no sells? Discover how to write irresistible ad copy that gets your prospect excited to buy and dramatically increase your sells. Are you tired of not reaching your goals? Are you ready to take your business to the next level? Discover how you can finally make the necessary changes to start, manage and grow your business in 30 days. Even in this social networking age, I believe face-to-face meetings are still the most powerful way for women in business to build solid professional relationships. Meetup.com provides a unique combination of online social networking with the ability to organize face-to-face meetings. Women in business know that goals are important but many of us aren’t sure why. We’ve heard that goals should stretch us from where we are now to where we want to be in the future, but we aren’t quite sure how. You’ll want to read these “real-world" answers to basic goal setting questions. As the Business Coach editor I often receive questions about achieving greater professional success. These questions are typical of what many of us are thinking and wondering about business success. I’ll answer questions about how to ask for referrals and how to work with prospects. Do you wish you had a clone or two? Do you wish there were more hours in a day? Find out how you can grow your business and free up your time by outsourcing. Should You Start a Coaching Business? Are you frustrated with growing your list? When you build a strong following you have the ability to create instant cash injections in your business whenever you need it. Learn effective ways to building your list. Customer service can make or break your business and business reputation. Learning how to communicate effectively with your customers is essential to providing great customer service. As a savvy woman in business, have you made the time to develop an effective customer service plan? You’ve heard the old business saying, “It’s not what you know, it’s who you know.” Wouldn’t you agree that in this fast paced and often impersonal business world, solid and dependable relationships are still one of the best career-building tools? Is your business struggling to stand out from your competitors? Do you wish you knew how to create a profitable brand? Find out how the most valuable asset your business will ever have is its brand and how to influence your customers to buy. Working from home can be a double-edged sword: Filled with opportunity on one side and distraction on the other. It is up to you to decide if your work from home experiences will be positive and successful or negative and disappointing. Here are my top five successful tips for working from home. I’ve worked from my home for the past 20 plus years and found it to be a double-edged sword. On one side of the sword you have complete flexibility on the other, there is too much flexibility. Working from home takes not only discipline but also the ability to have laser-beam focus on your goals. If you take owning a business seriously, then your business needs a mission statement. A mission statement is a succinct statement telling your employees and customers the what, why and how of your business. 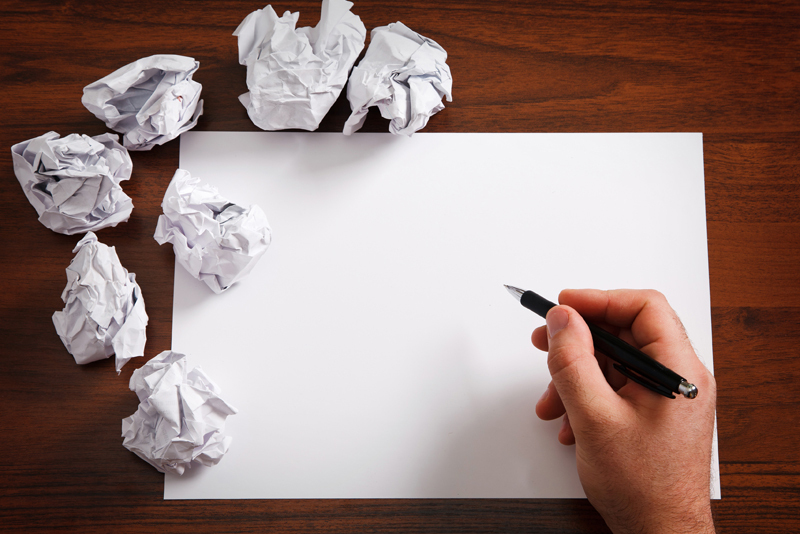 Without a well-written mission statement, a business often lacks focus.